The ramifications of Britain’s decision to leave the European Union could even reach Westeros. HBO’s “Game of Thrones” stands to lose a great deal of funding that it receives for shooting in Northern Ireland, according to Foreign Policy. The series shoots in Northern Ireland quite a bit. That, for example, is where it was able to pull off the breathtaking “Battle of the Bastards” on the most recent episode. Additionally, Northern Ireland is the setting for the show’s Haunted Forest; the Brotherhood Without Banners’ hideout, the Pollnagollum Cave; the Dothraki grasslands; the city of Meereen; and the Starks’ home, Winterfell. So how could Brexit affect “Game of Thrones”? Setting up productions in those amazing locales is an expensive operation. HBO, and other producers, receive funding from the EU’s European Regional Development Fund. The fund is aimed at stimulating the economic growth for countries in the EU. Now that Britain is leaving the EU, so will Northern Ireland, which is part of the UK. That means companies shooting in Northern Ireland will no longer be able to take advantage of the aid and savings provided by EU funding — though it should be noted that the process of leaving the EU is gradual. Peter Chase, a senior fellow at the German Marshall Fund of the US’ Brussels office, told Foreign Policy that Brexit “absolutely” puts funding at risk for “Game of Thrones” and other shows and movies. But HBO could be shielded from the effects Chase speaks about. According to an individual close to the production, “Thrones” hasn’t received funding from the European Regional Development Fund for the past few seasons. And HBO doesn’t seem worried about the Brexit vote. 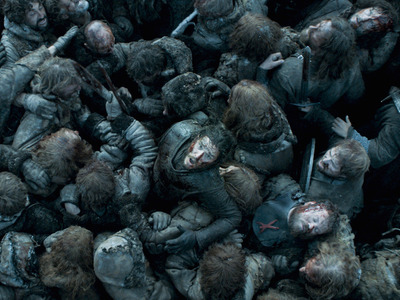 “We do not anticipate that the result of the EU Referendum will have any material effect on HBO producing ‘Game of Thrones,'” the network said in a statement to Business Insider.